September 2017 Hammer new page installed. 05.10.2015 Trim Pak , new page installed. 17.03.2015 SIKU Selbstbau (build yourself) new page. November 2013 : Revell : This page which I started in 2004 was completely revised. 09.08 2013 Mokarex figures. New page. 01.08.2013 : Aeros New page. 14.05.2013 Ruch / PZW: New page, pictures no text. 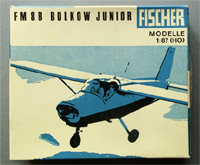 25.06.2013 Busch : Updated (additional pictures, links to pages containing history and 1960 catalogue). 1. 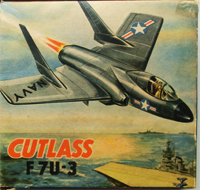 November 2012 List of Airfix Kits I Remember Text revised text, new pictures added, some Airfix pictures replaced by Plasty pictures. 03.November 2009 Home Page revised, new title picture. Introduction and Updates removed to separate pages. 18. 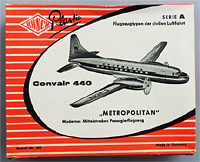 Jan 2008 Picture of Box Type 2 of Airfix Bristol Superfreighter added. 26. 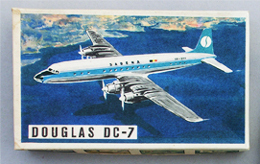 June 2007 More info and pictures of the SIKU Breguet 1150 Atlantic which was announced in the 1961 catalogue. Dubena. Page updated (additional text, new format but no new pictures. SIKU F-32 Lockheed WV-2 Radar Plane page revised in text and format , typos corrected. 9. Sep 2005 Introduction (left) rewritten and shortened to free space for this list of updates (right column). The original introduction, is archived here. 8 Dec 2005 Frog / Tri-ang page updated. Some revisions in text. B-52 picture replaced by FROG Oxford. Tri-ang B-66 type D box added. 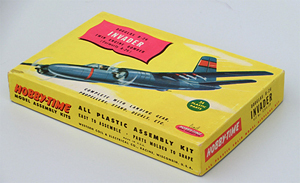 23 Nov 2005 Faller page updated : 1956 validated by a source as first date of issue of kits .